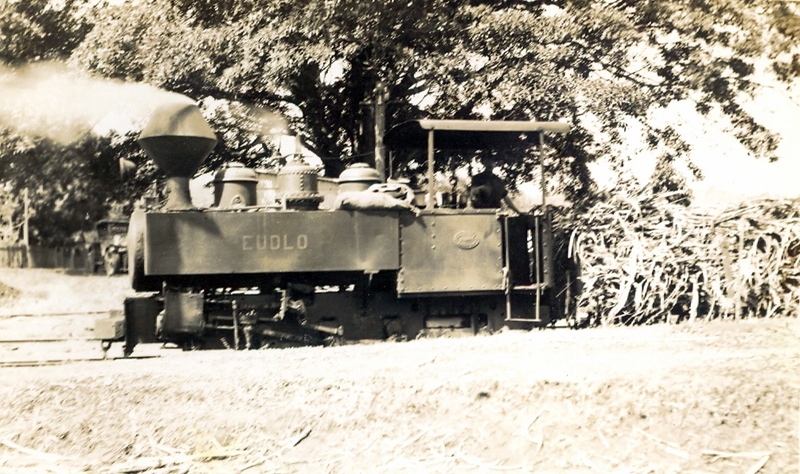 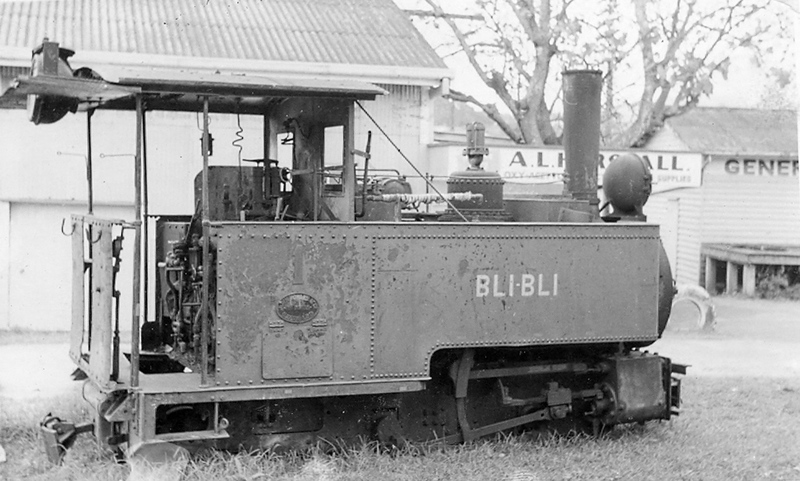 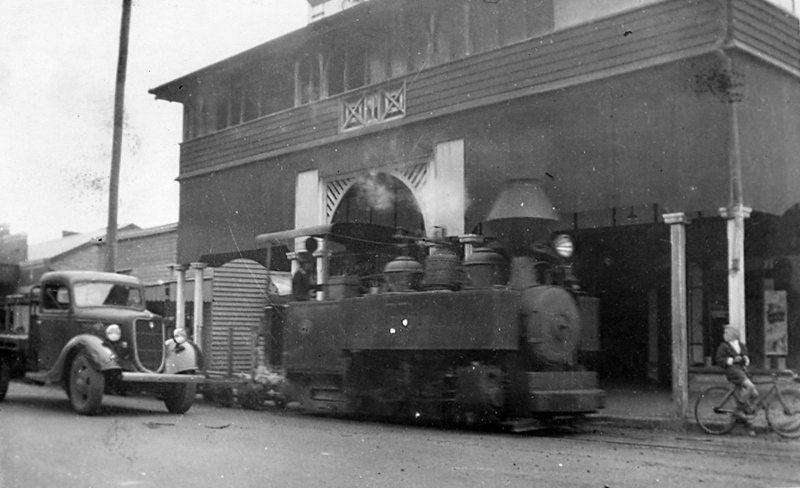 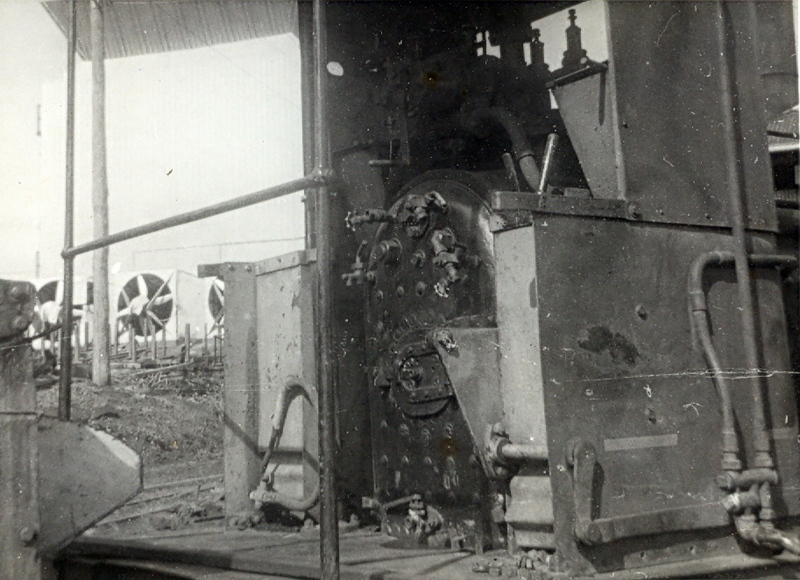 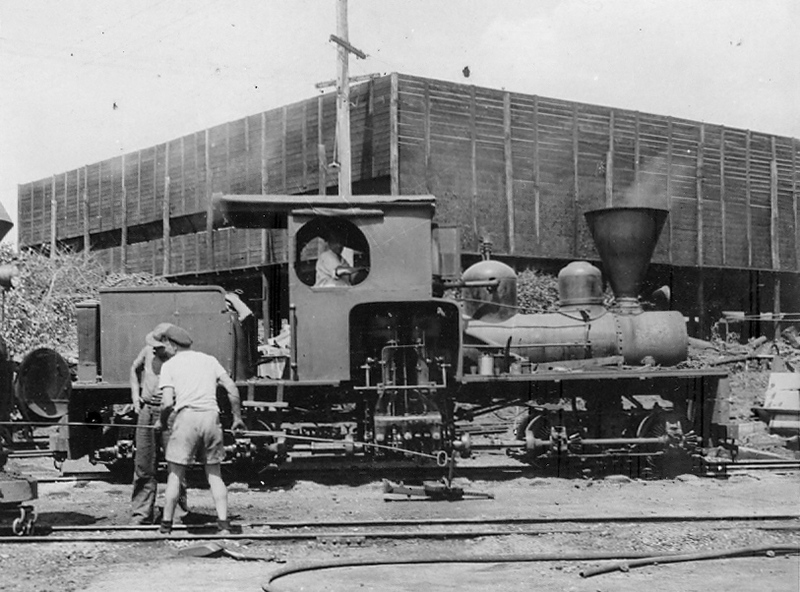 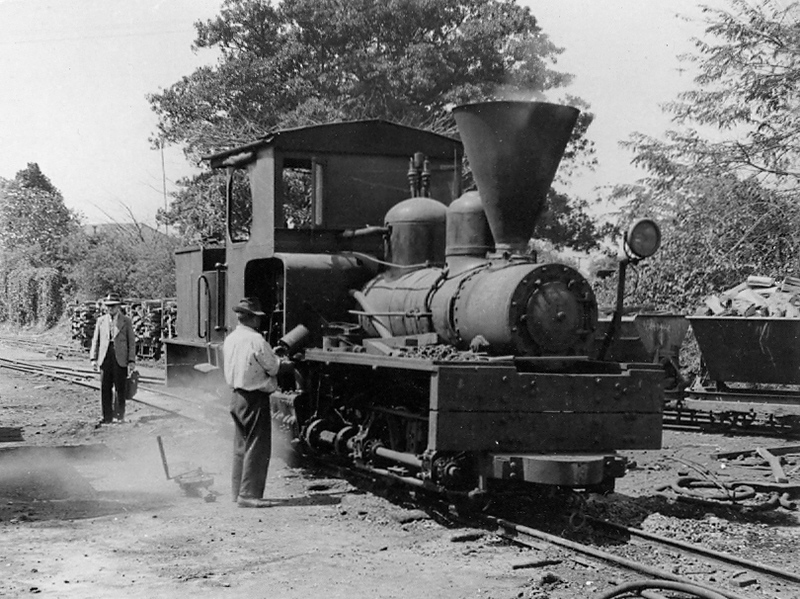 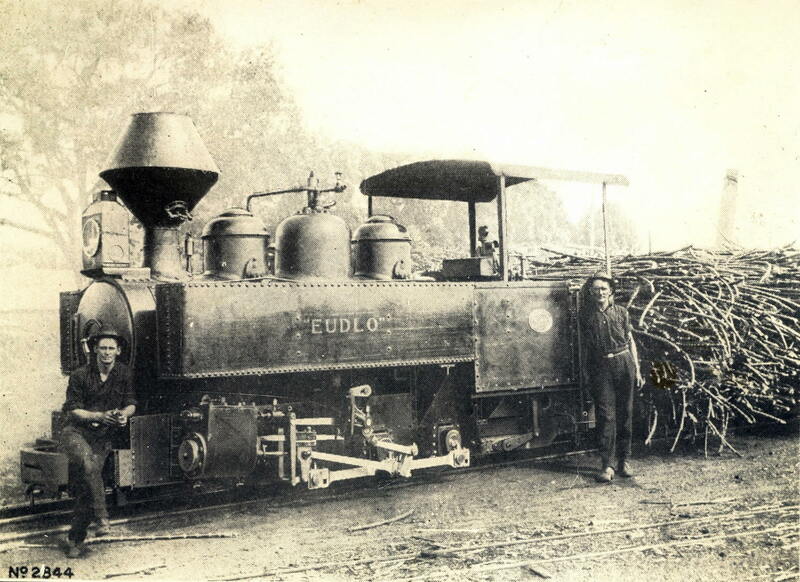 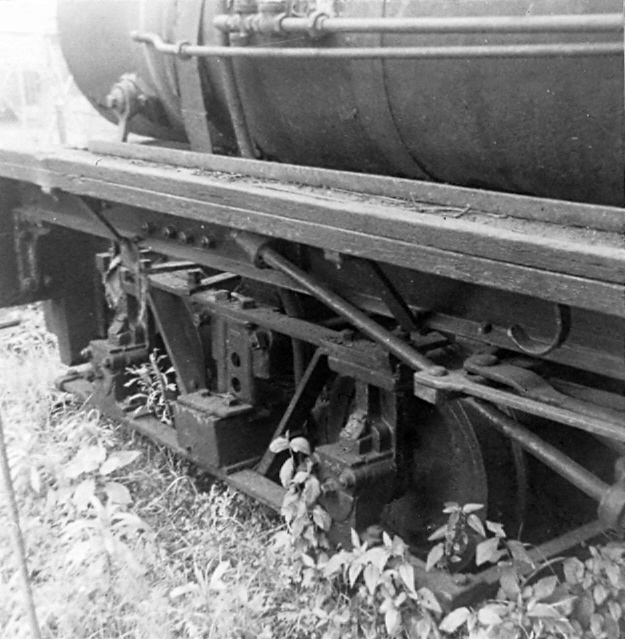 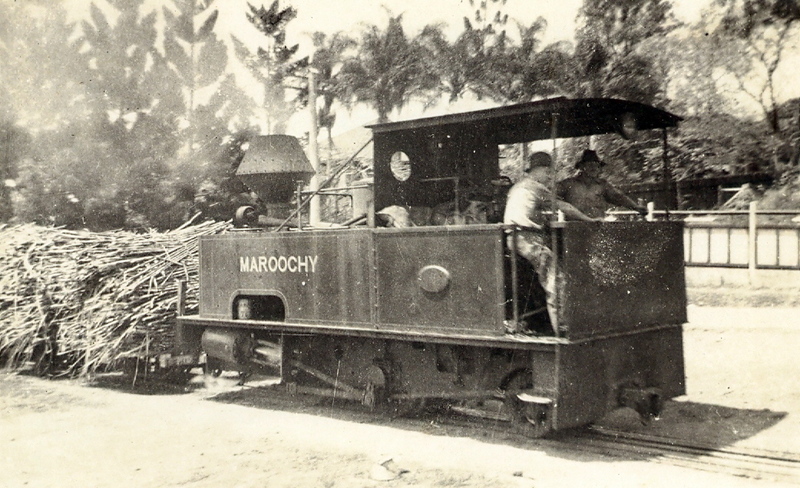 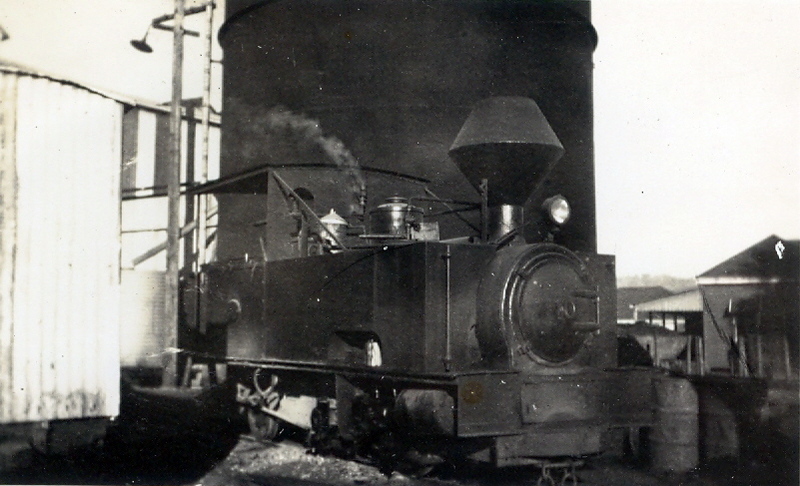 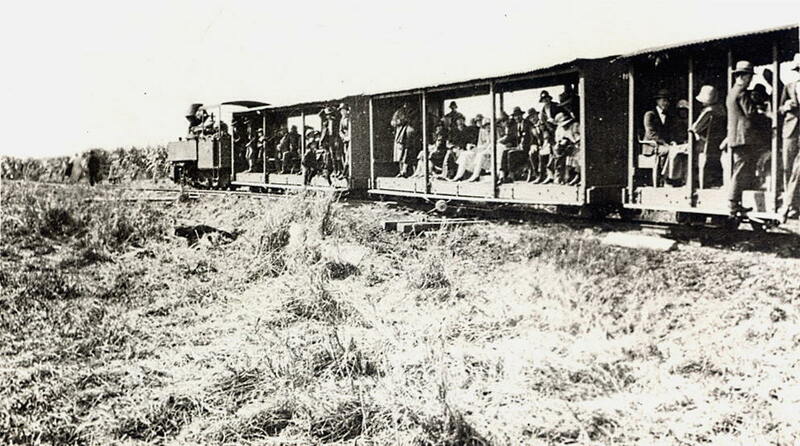 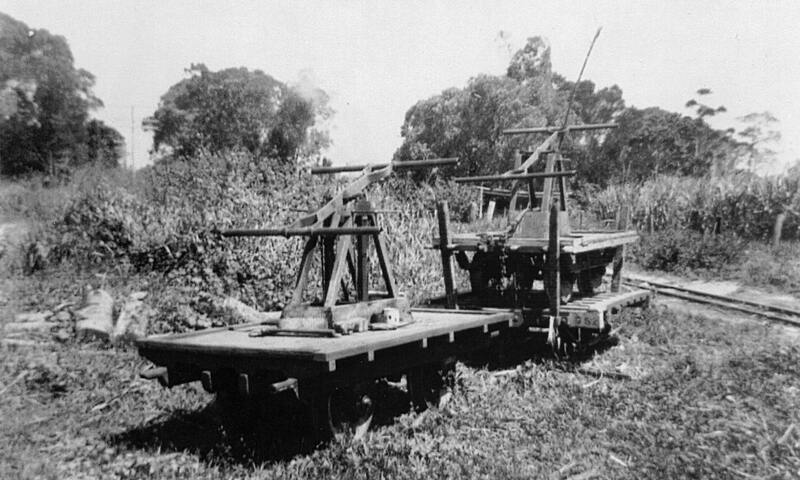 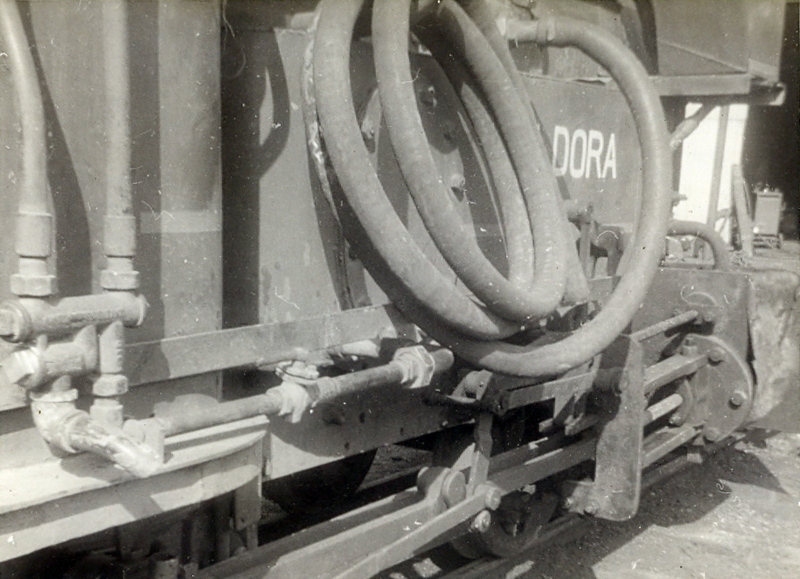 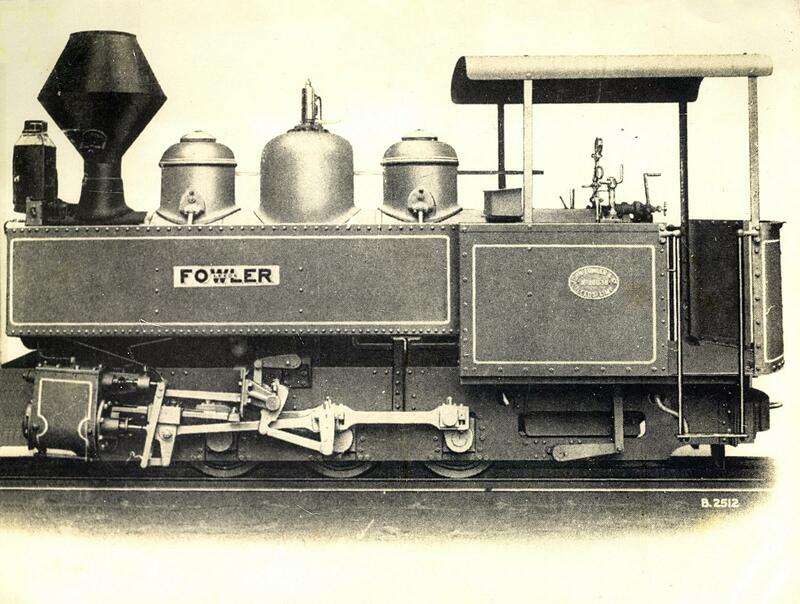 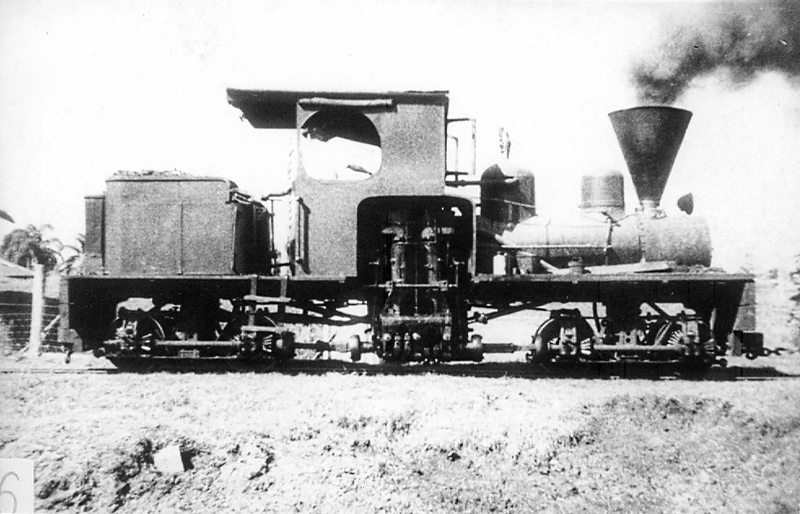 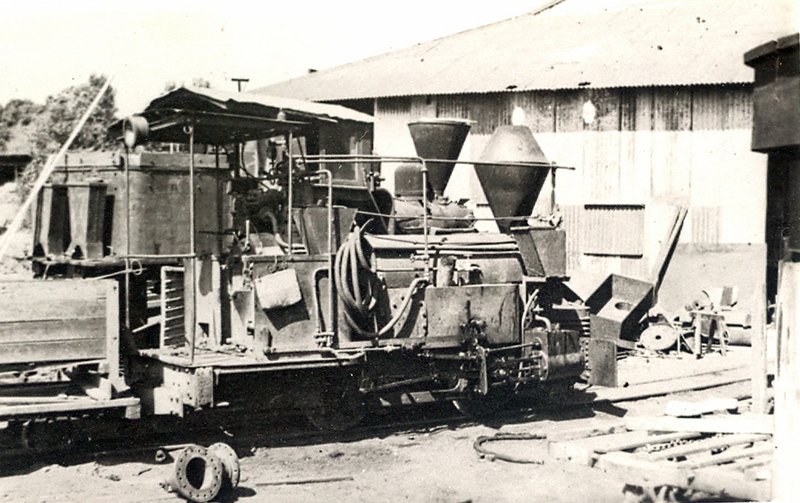 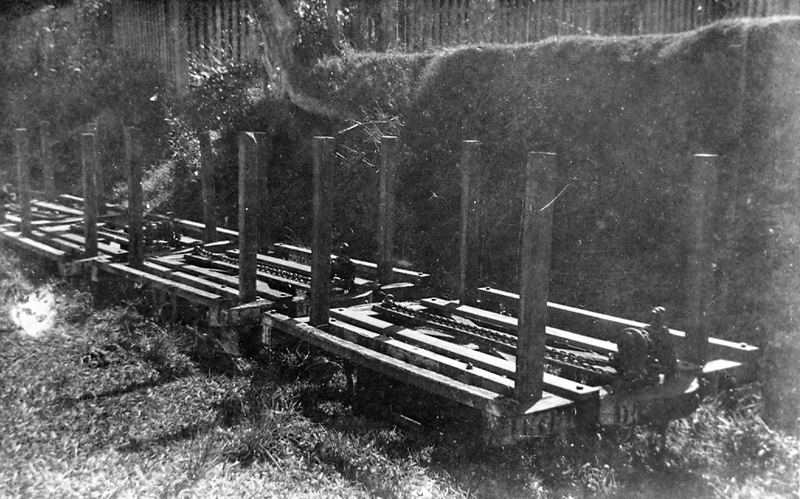 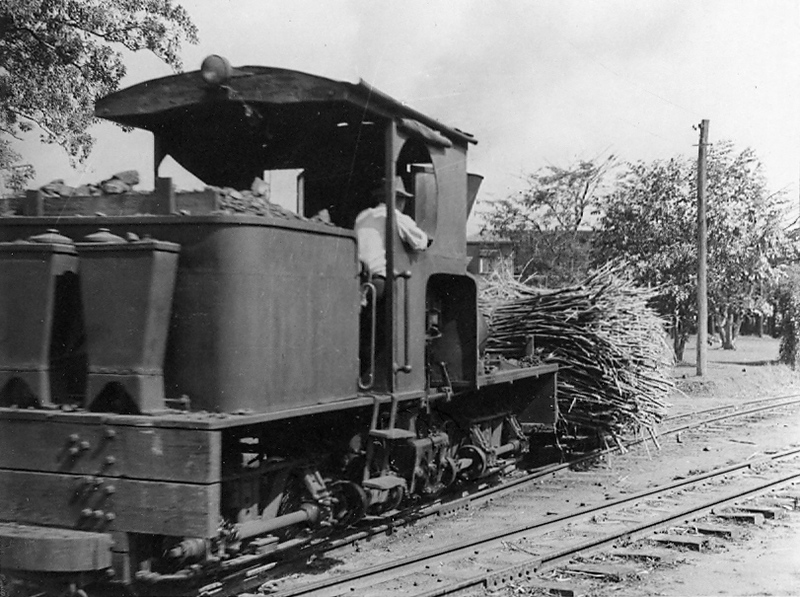 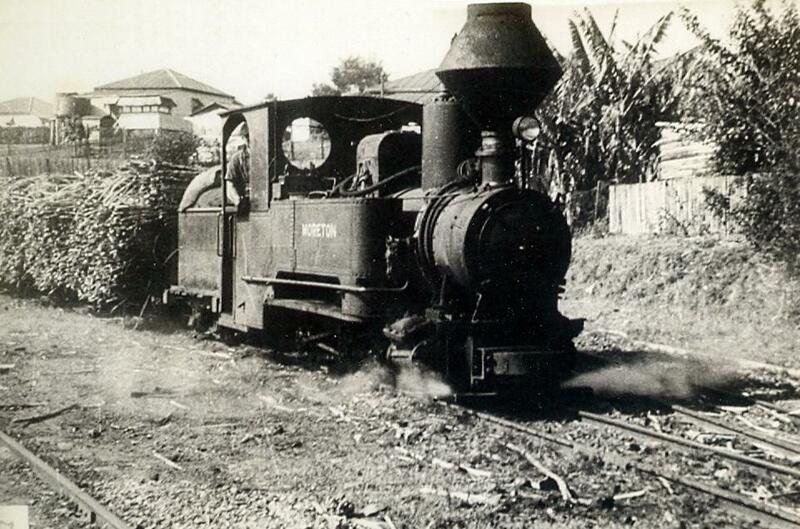 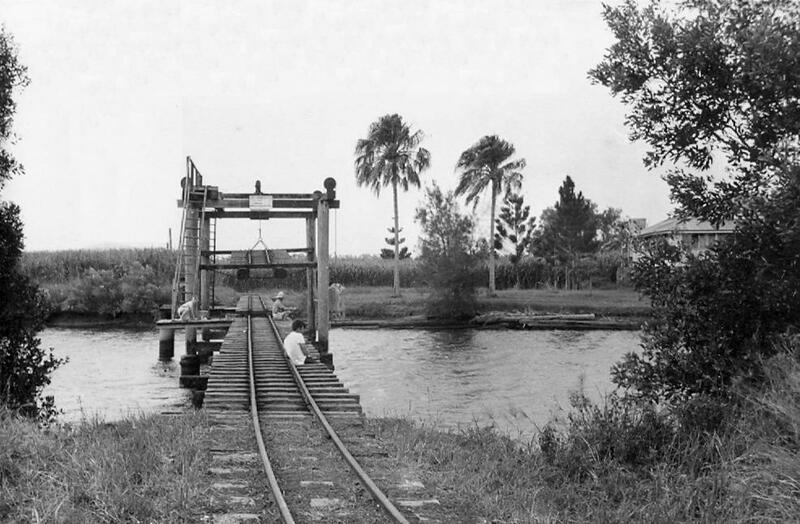 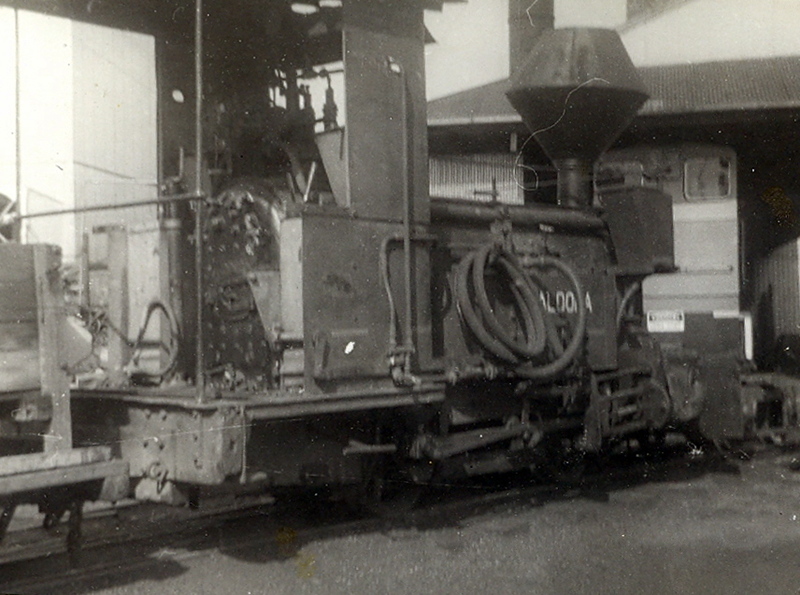 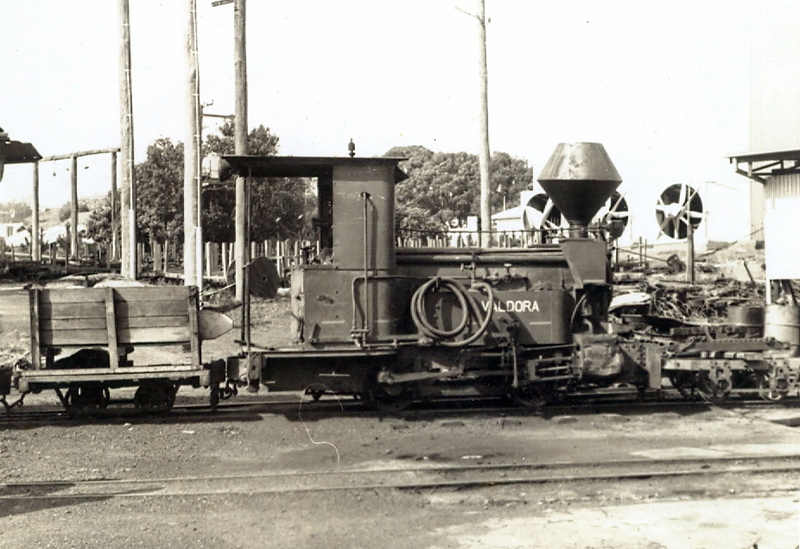 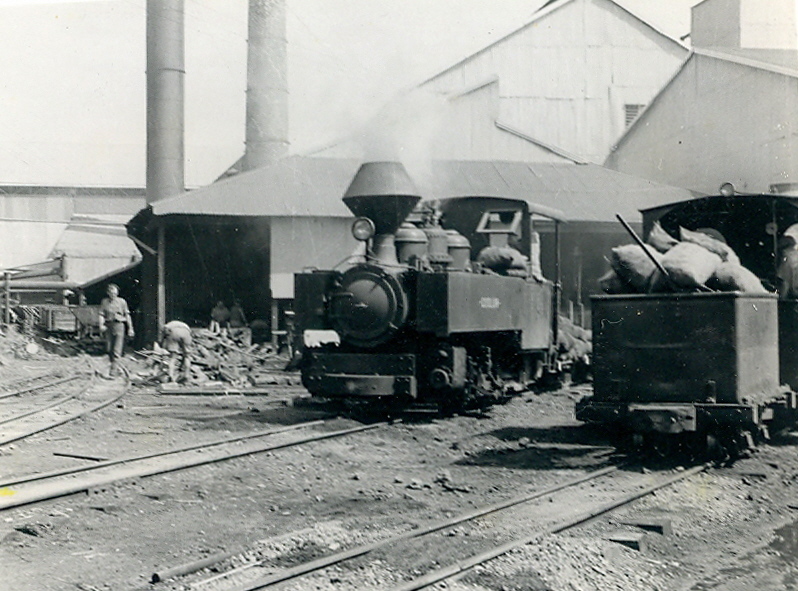 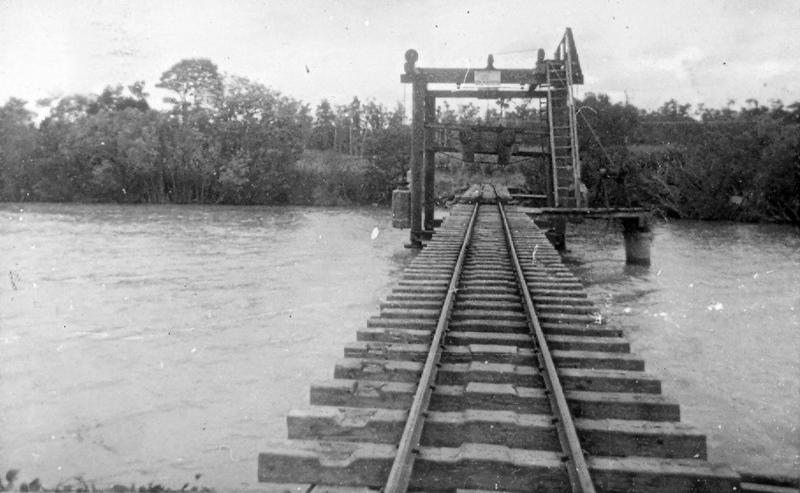 Mr E.M. (Mike) Loveday was a keen enthusiast of the 2-feet gauge railways that serviced the Moreton Central Sugar Mill and the areas of Burnside, Kureelpa and Mapleton. 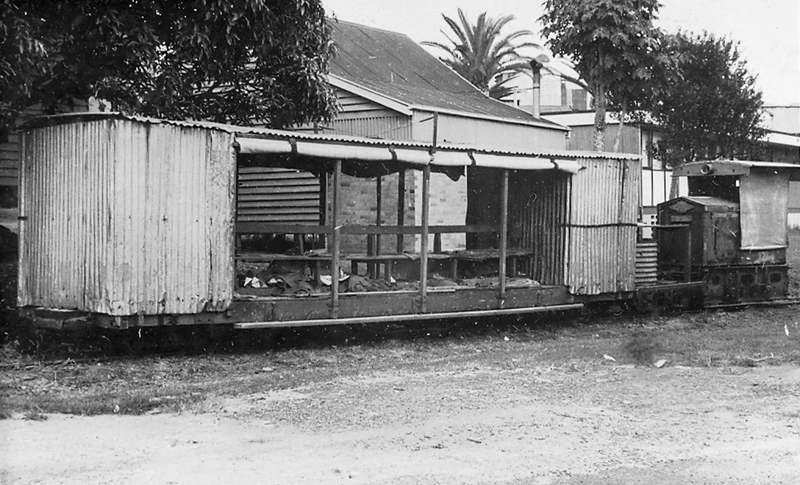 Over several decades he accumulated a collection of photographs of these tramways including those he took himself and those he collected or copied from other sources. 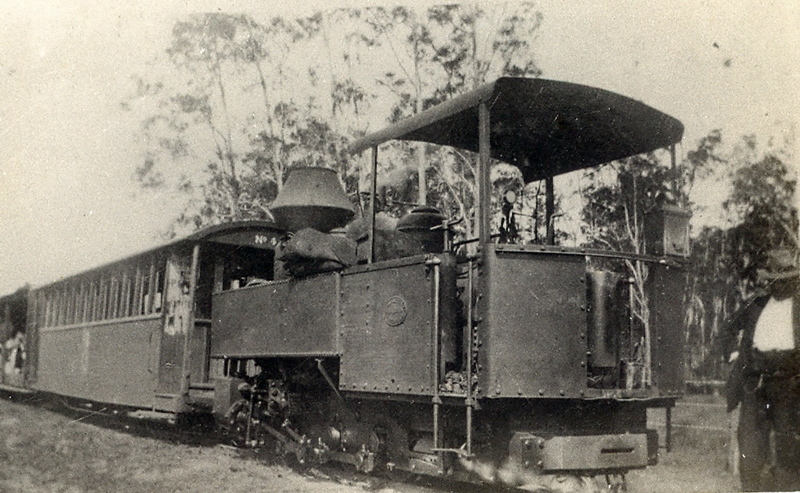 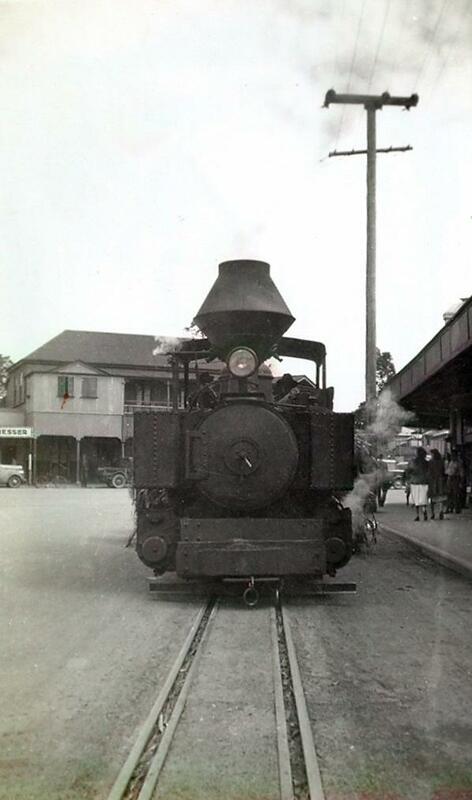 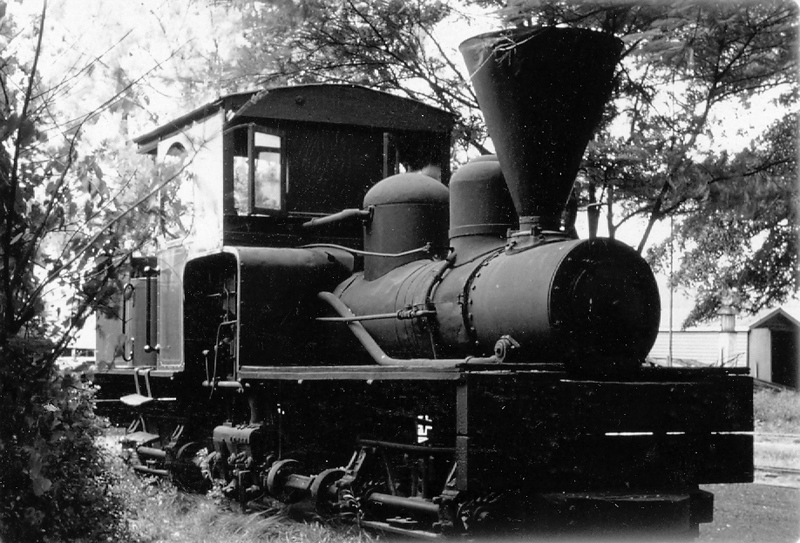 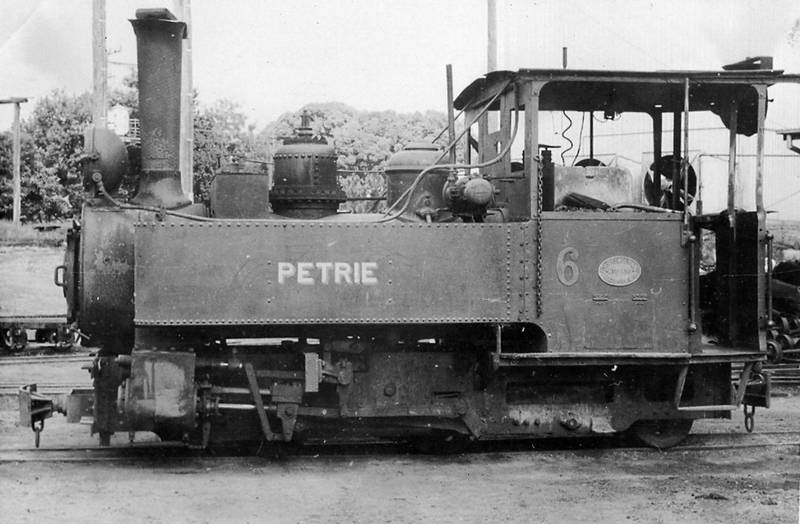 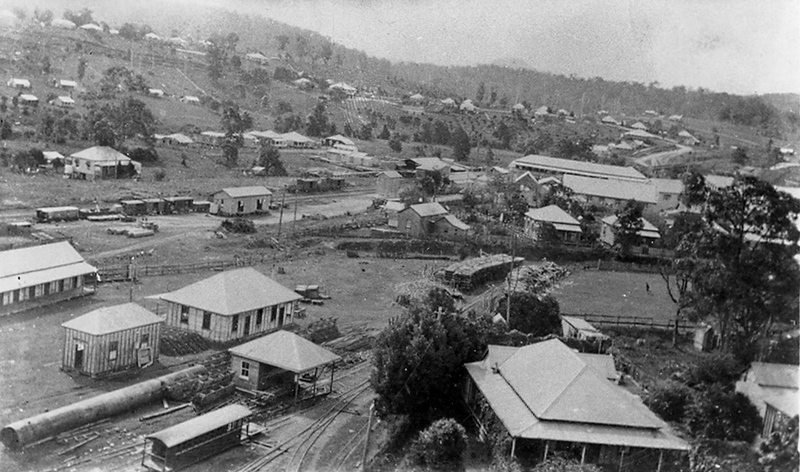 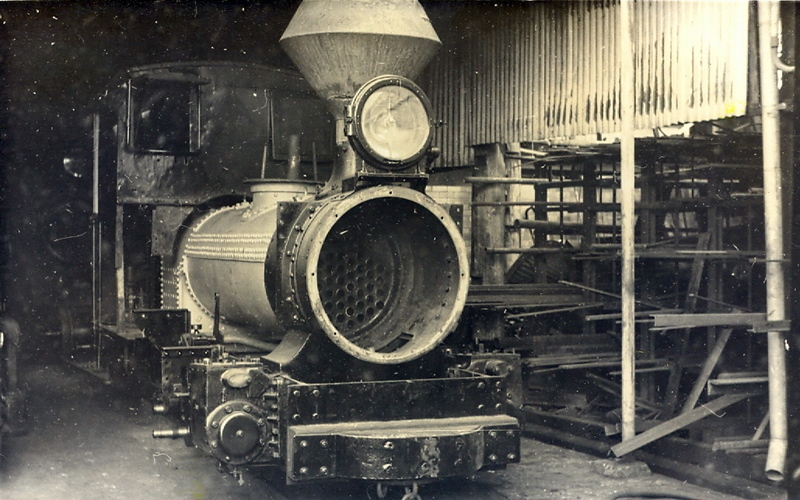 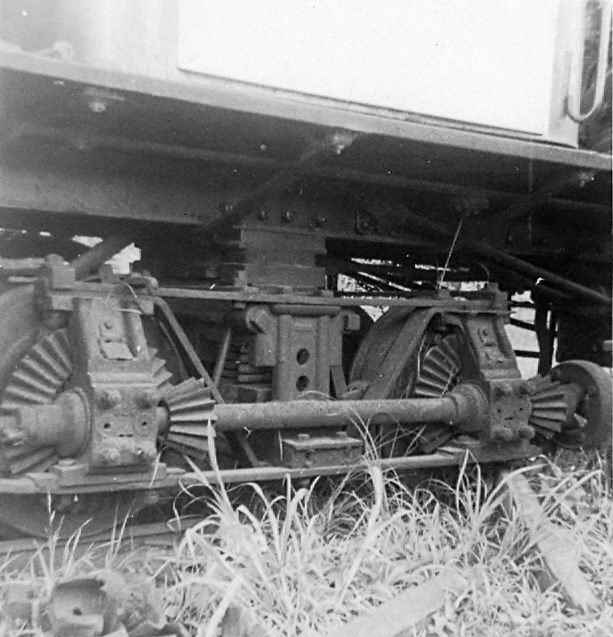 At his death many of these came into the hands of Mr Trevor Robinson of Palmwoods, a local historian who, like Mike, wished to preserve the memory of the Moreton Mill and its cane transport rail networks, as well as the other local tramways that serviced the localities of Mapleton and Buderim. 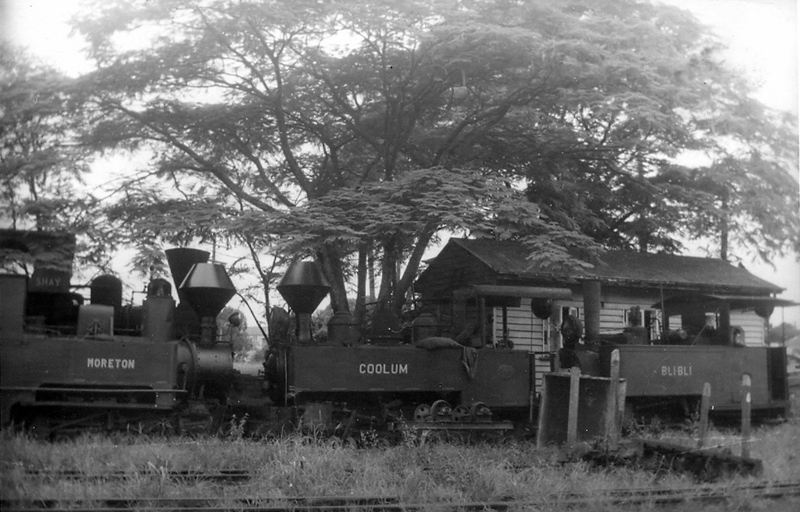 Mr Robinson has kindly offered his collection of images including the Loveday collection to be made available to interested persons on this website. 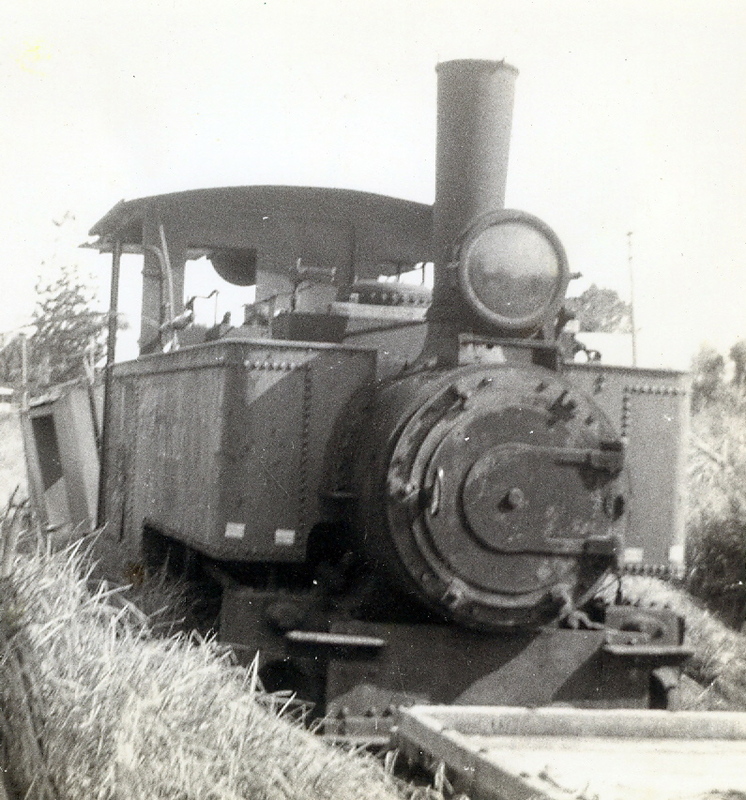 Some now appear before the public for the first time, and naturally copyright will remain with Mr Robinson. 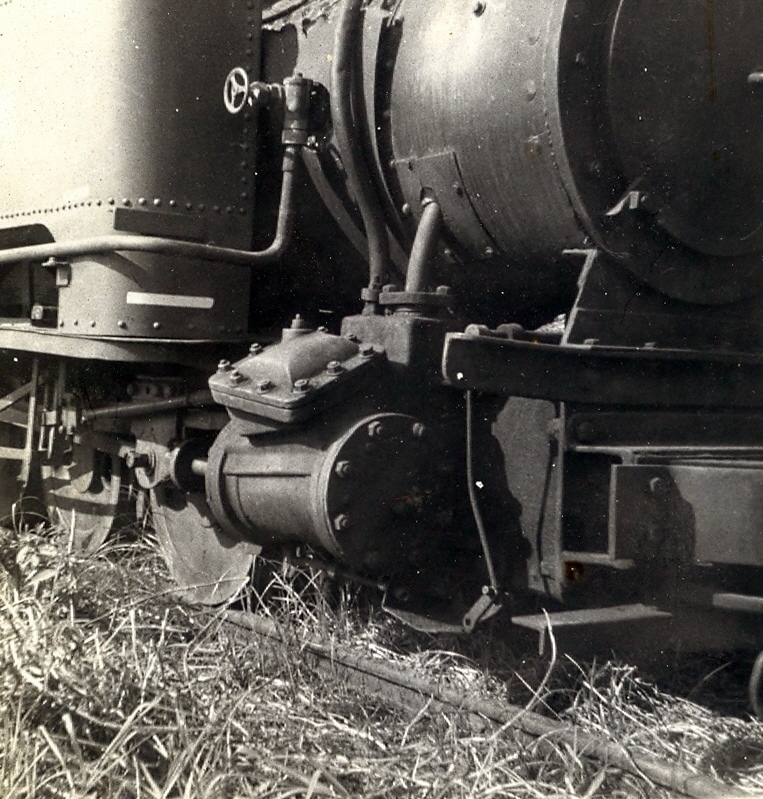 On behalf of readers, the writer thanks Mr Robinson wholeheartedly for his generosity. 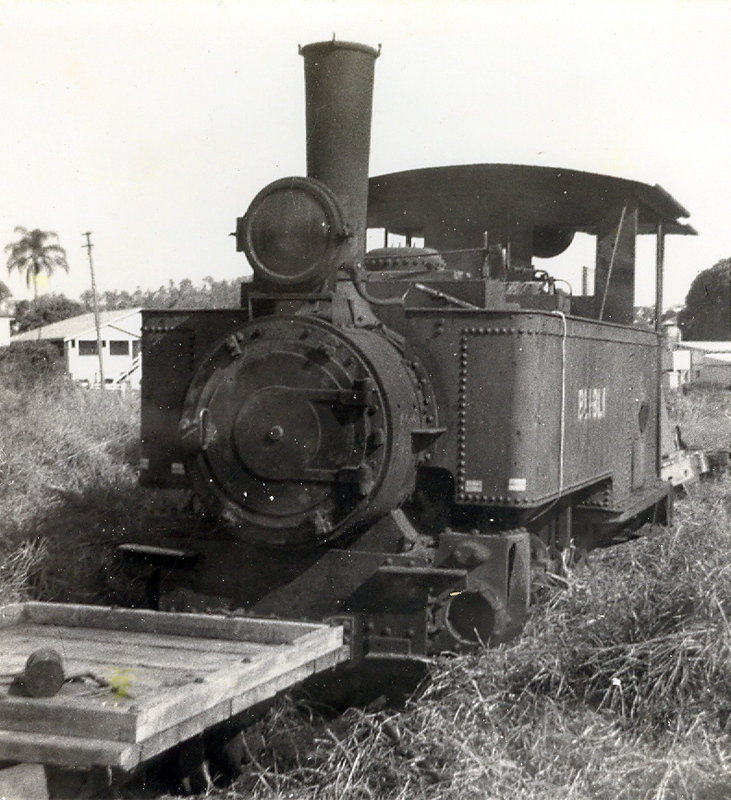 The images below are mostly of steam locomotives, and are presented approximately in order of acquisition by the Moreton Central Sugar Mill. 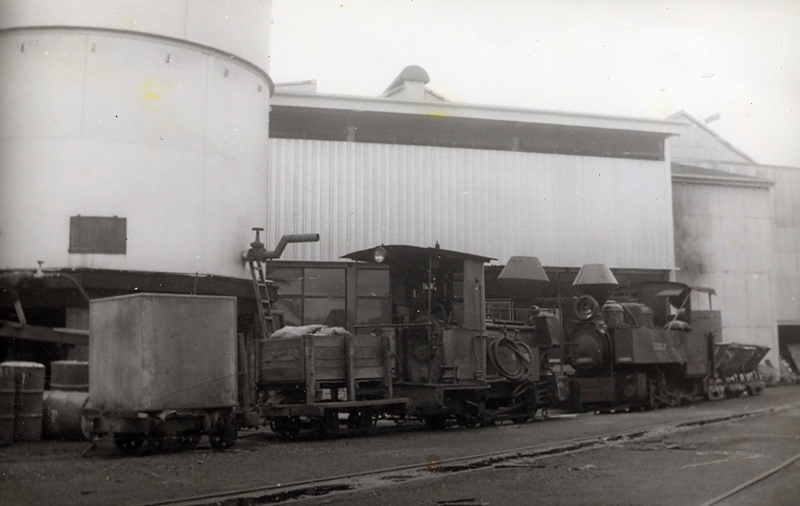 Coolum taking stick cane to the Mill along Howard Street - at this stage, the cladding of its steam dome has been removed. 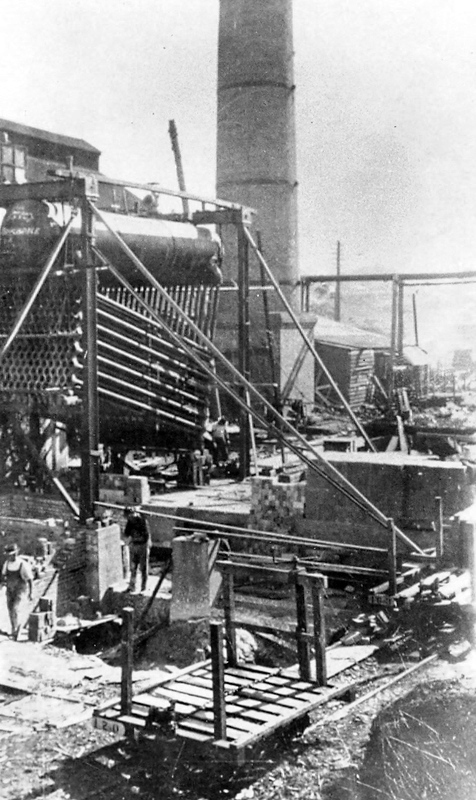 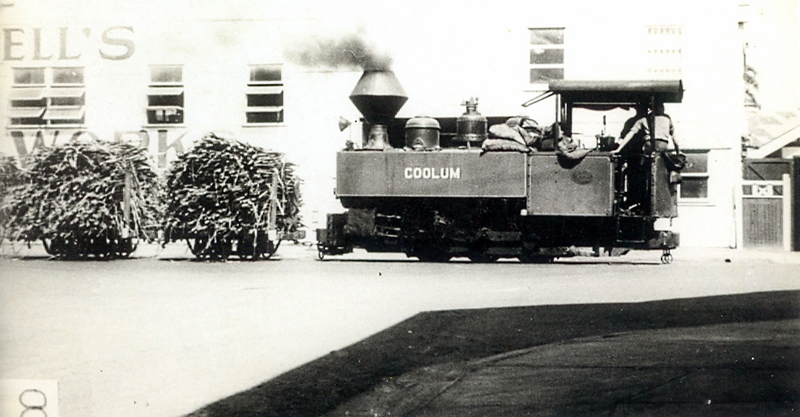 Coolum outside the Bank of New South Wales, corner of Currie and Howard Streets, Nambour - Mill smokestacks behind cab. 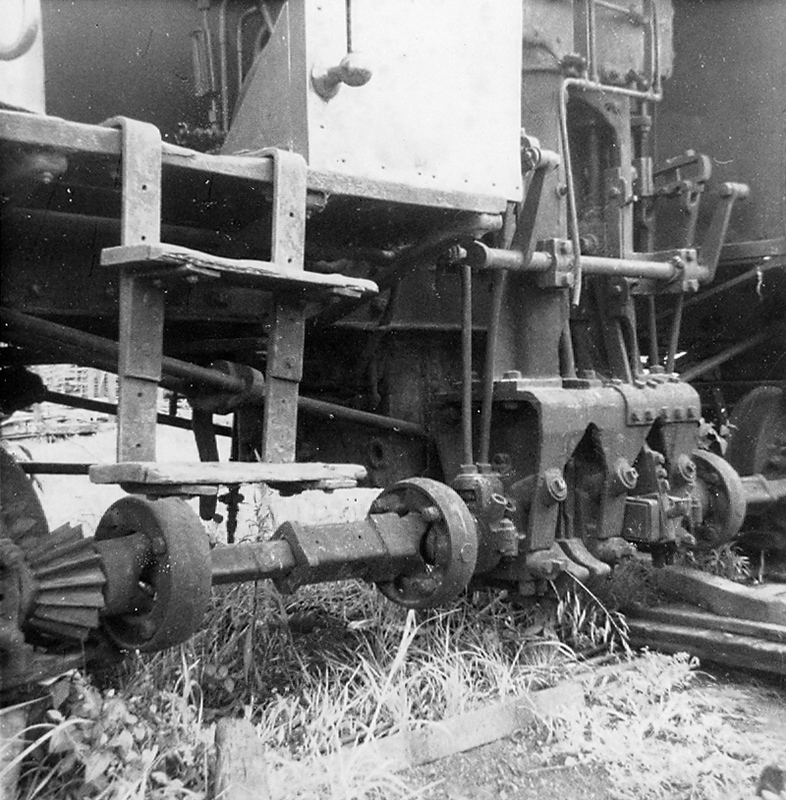 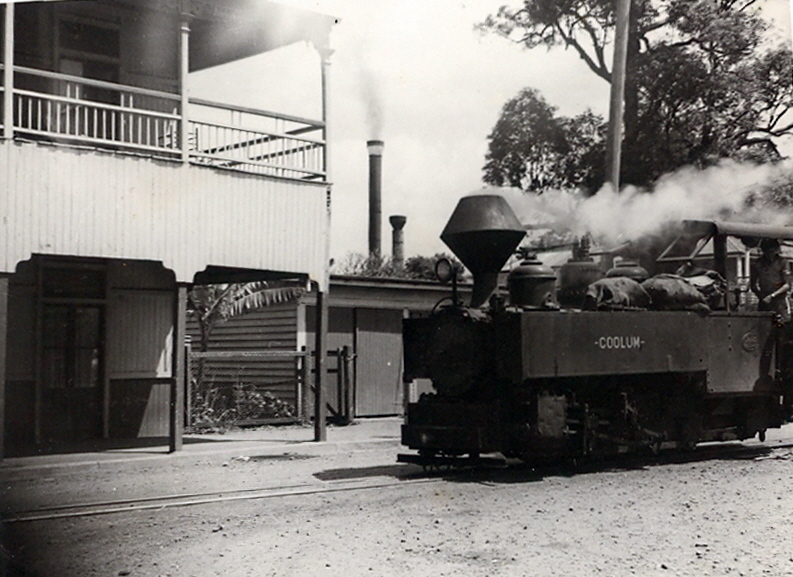 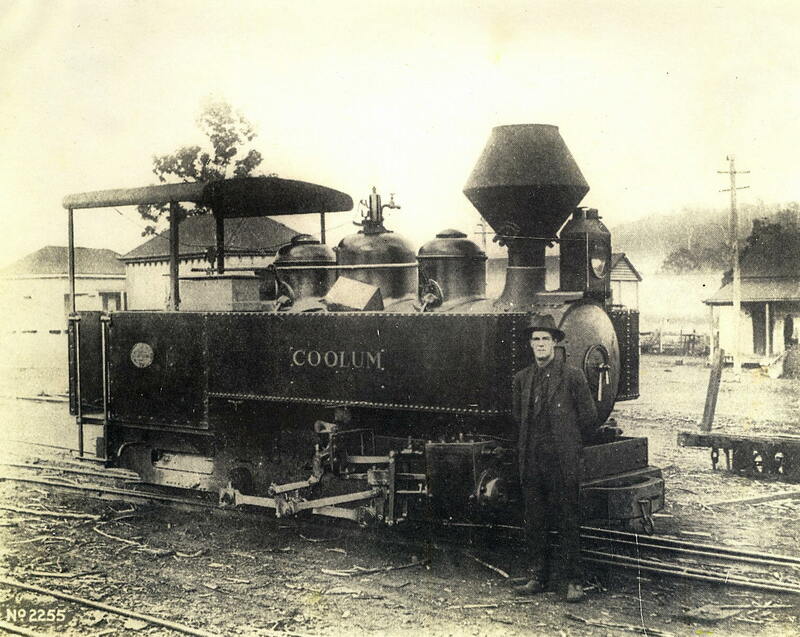 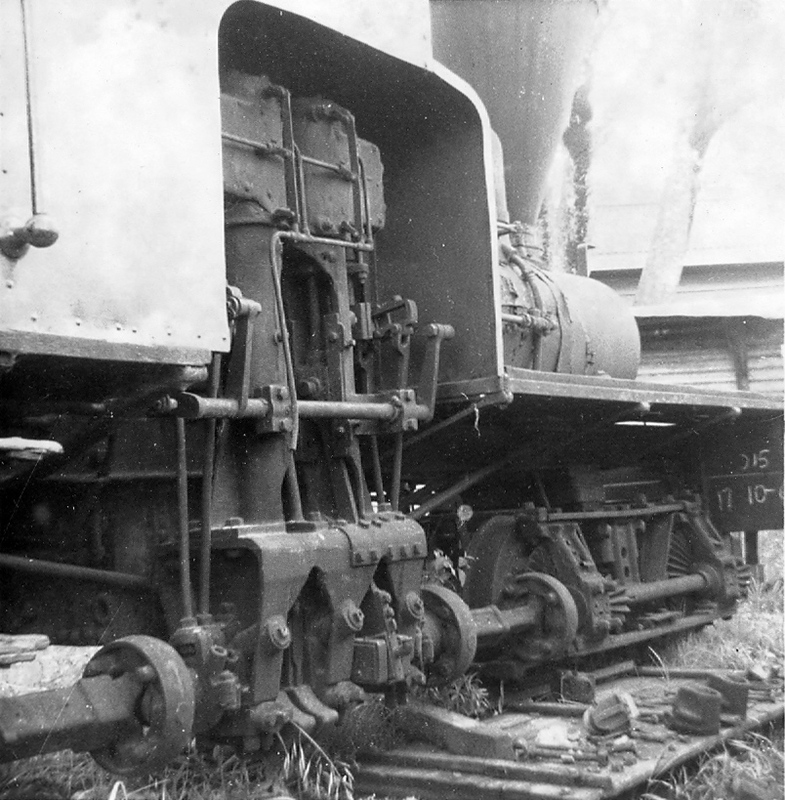 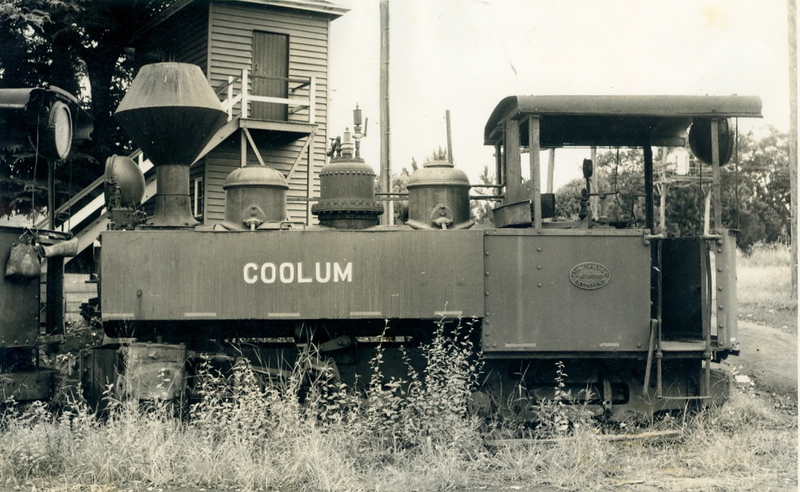 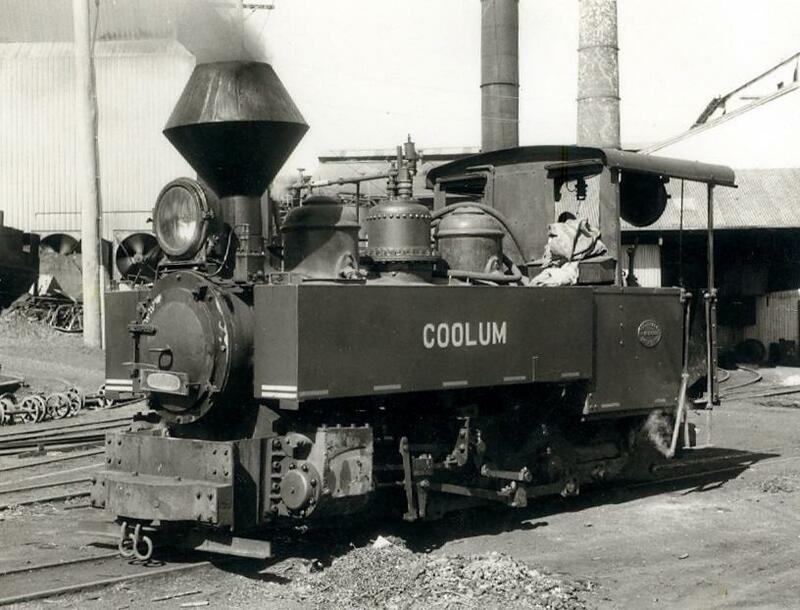 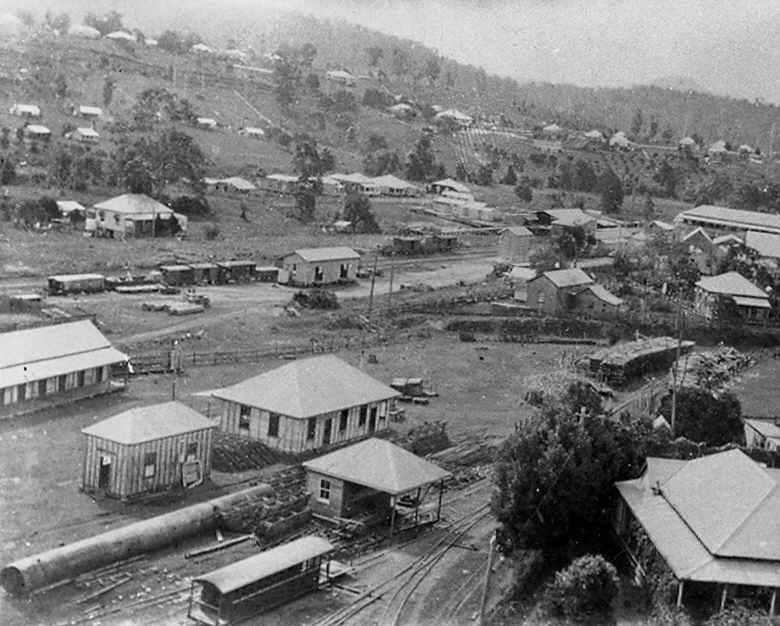 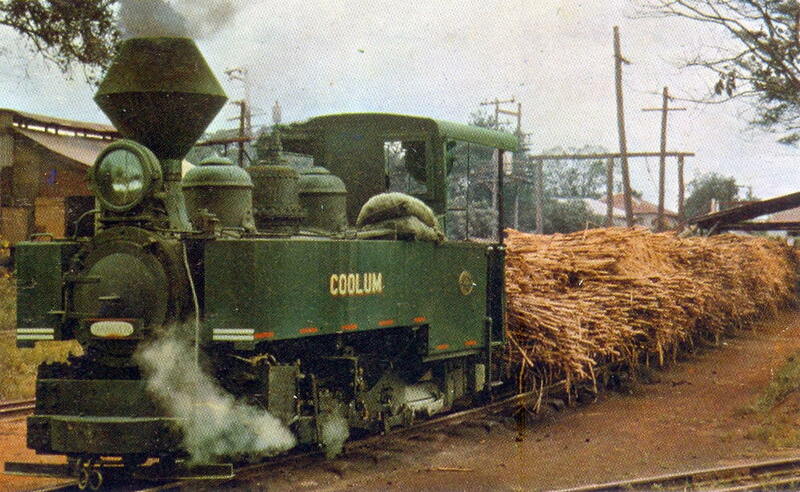 As the cane trucks are loaded, perhaps Coolum was pushing its train in reverse, or assisting another locomotive by banking its train in the rear. 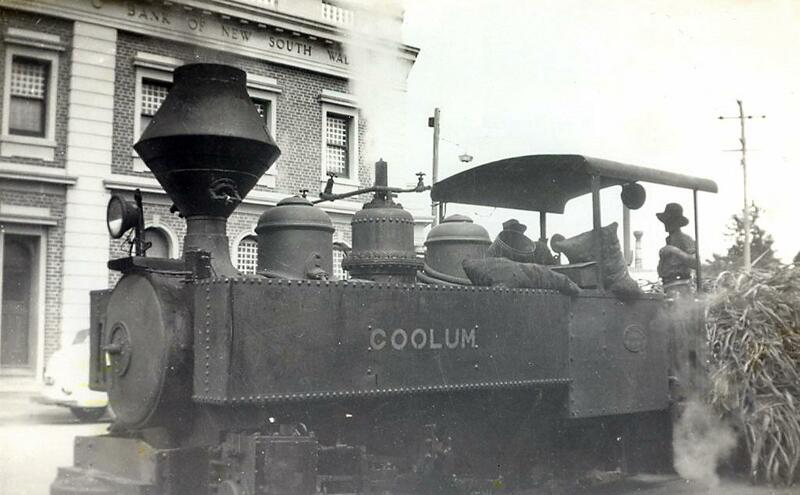 Coolum passes the Diggers' Hall on the Queen Street corner as it takes empties down Howard Street. 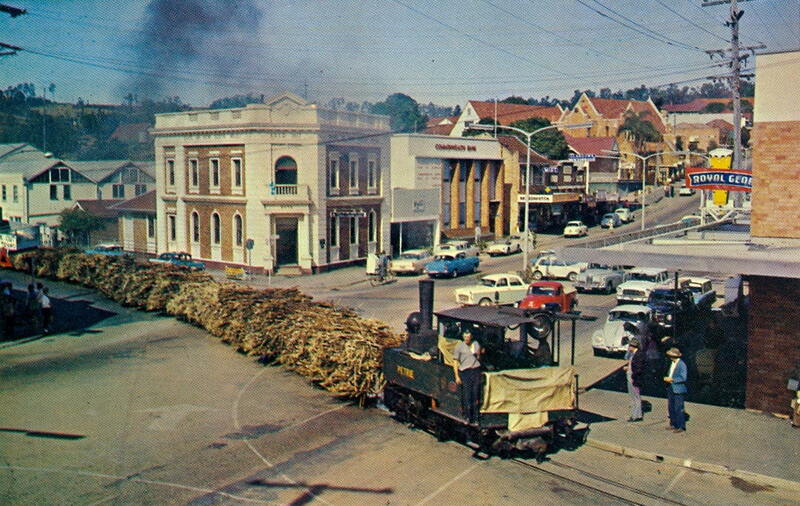 The tram tracks at that time ran down the northern side of the street, rather than in the centre. 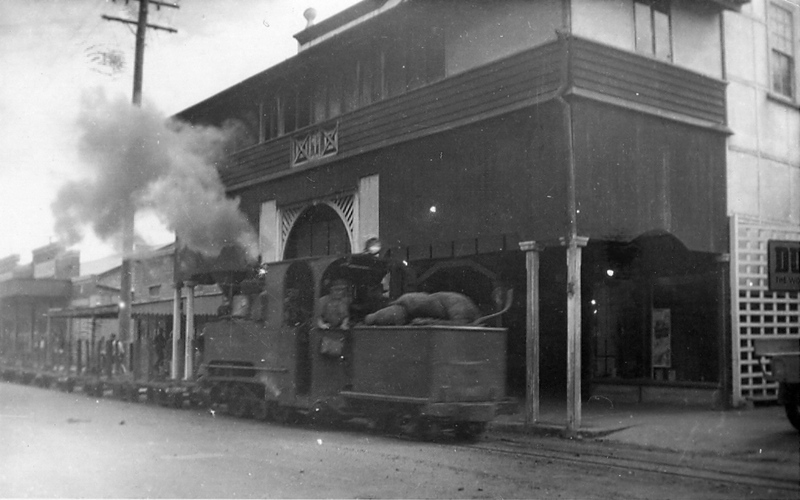 The awning of Bayard's building (see next image) is visible at the left margin. 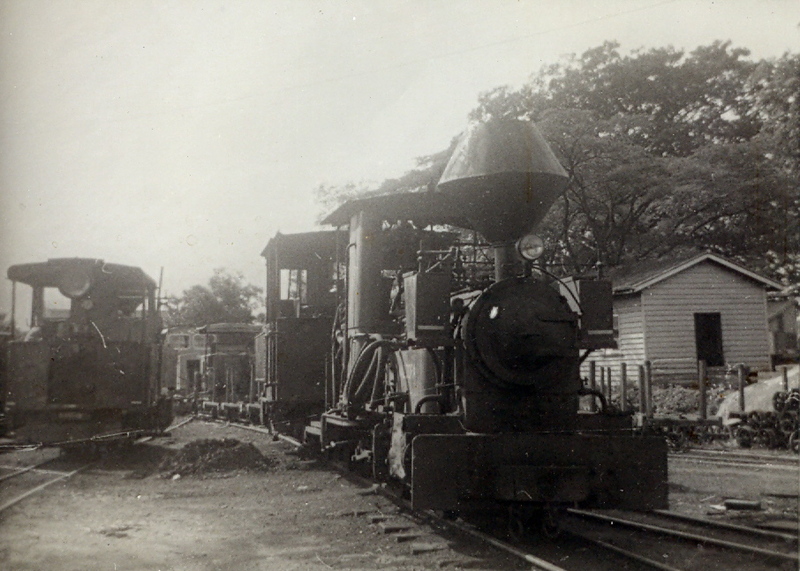 Today's Queen Street runs to the right just beyond the Diggers' Hall. 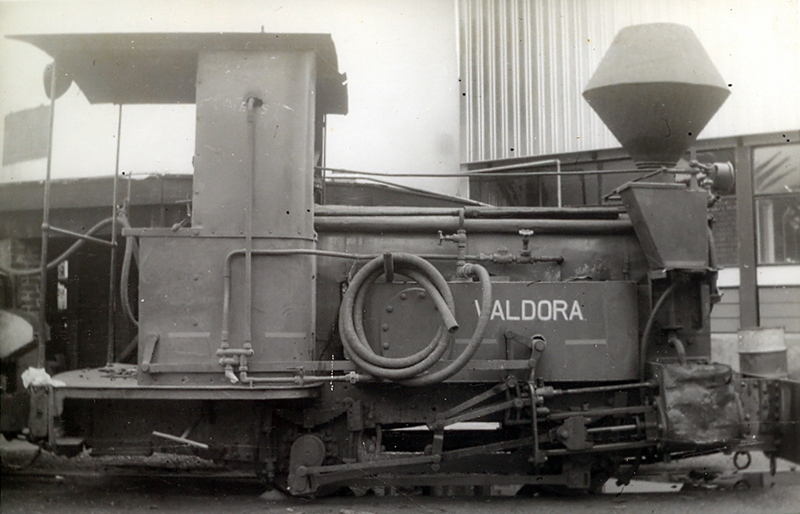 Valdora in the Moreton Mill yard. 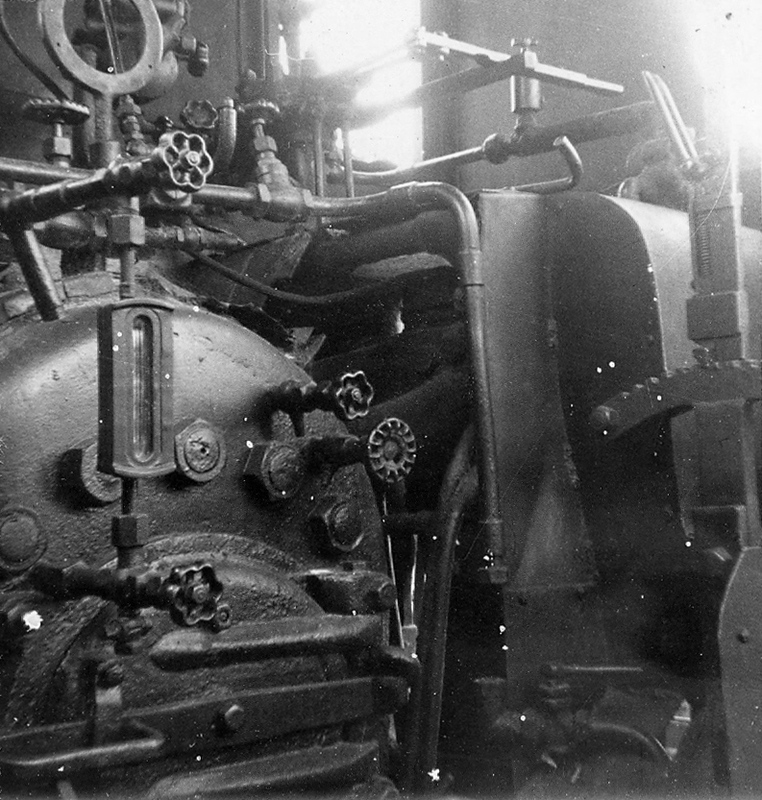 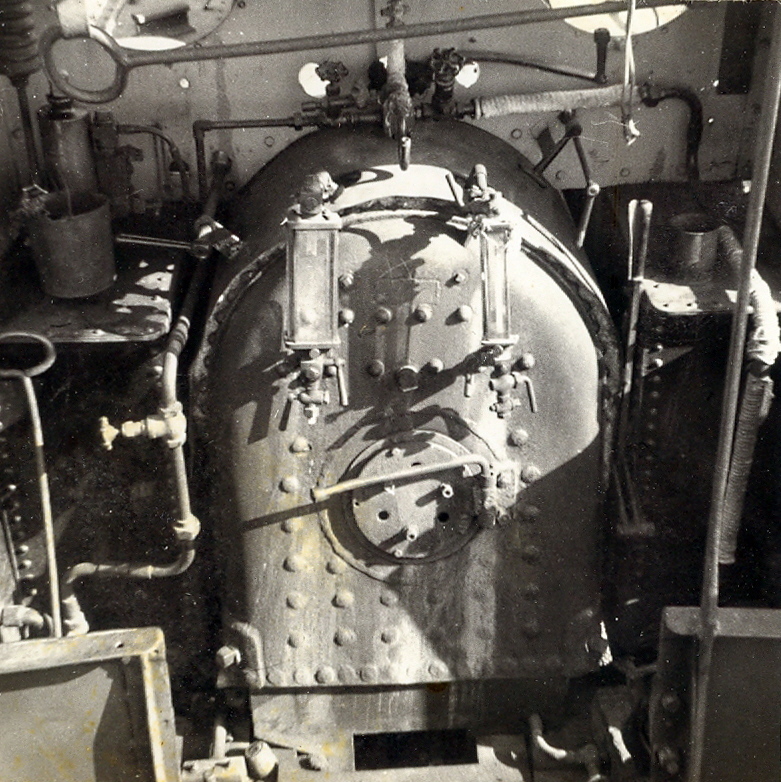 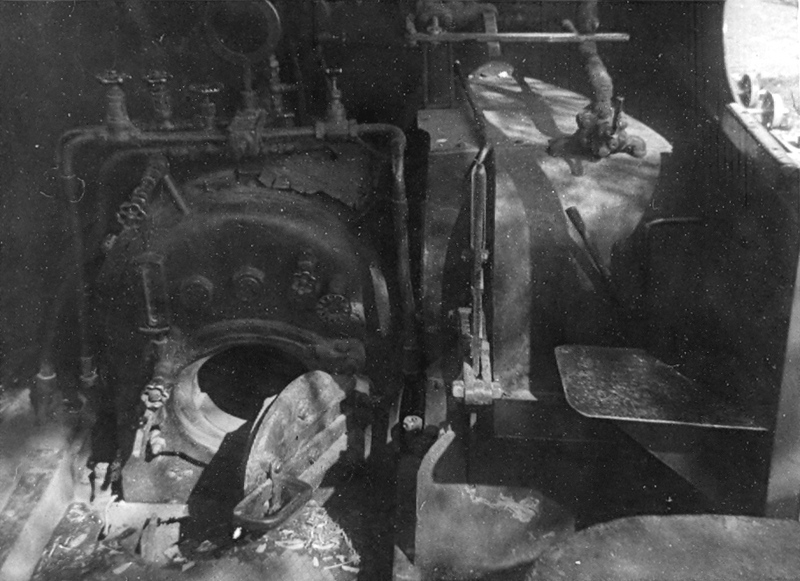 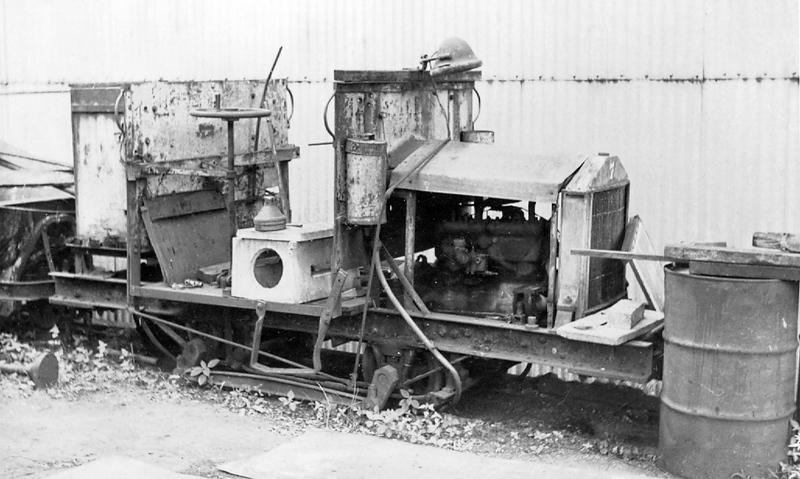 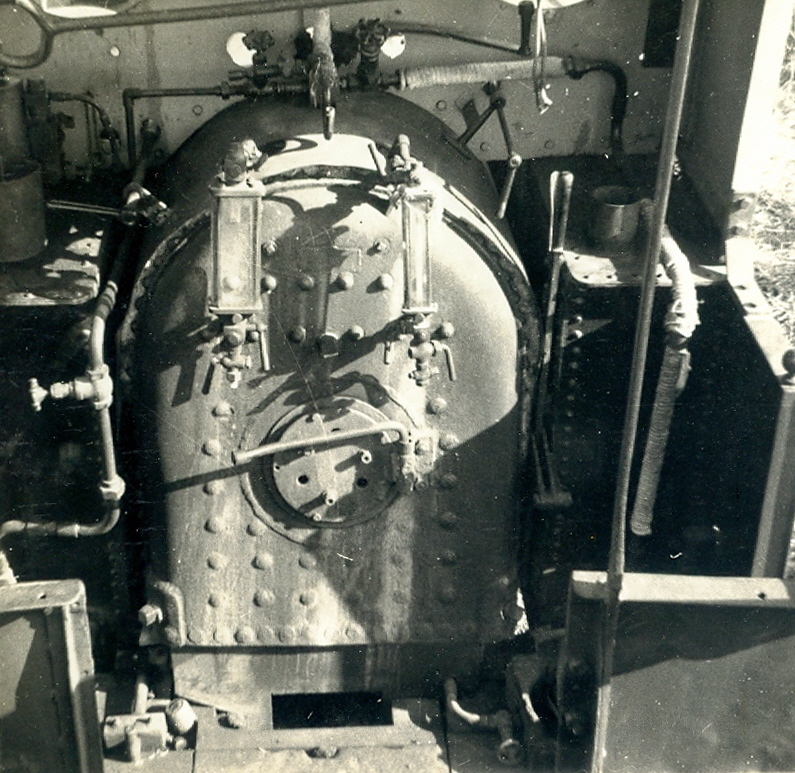 A 2.5 tonne Motor Rail Simplex internal-combustion rail tractor without coupling rods. 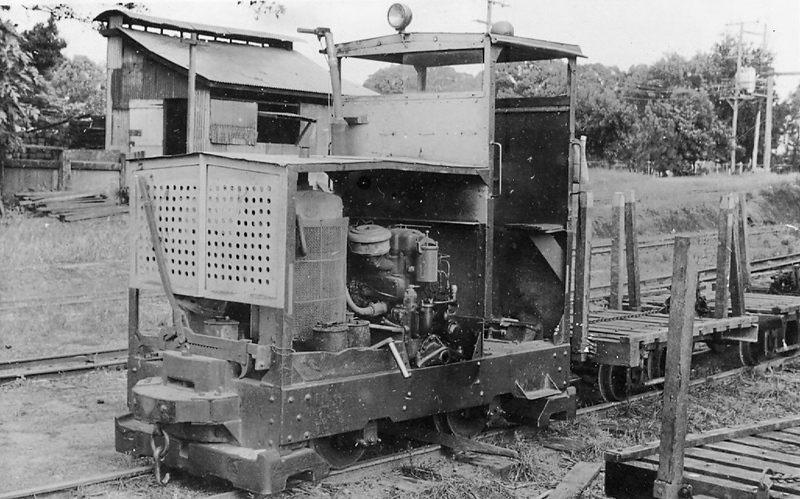 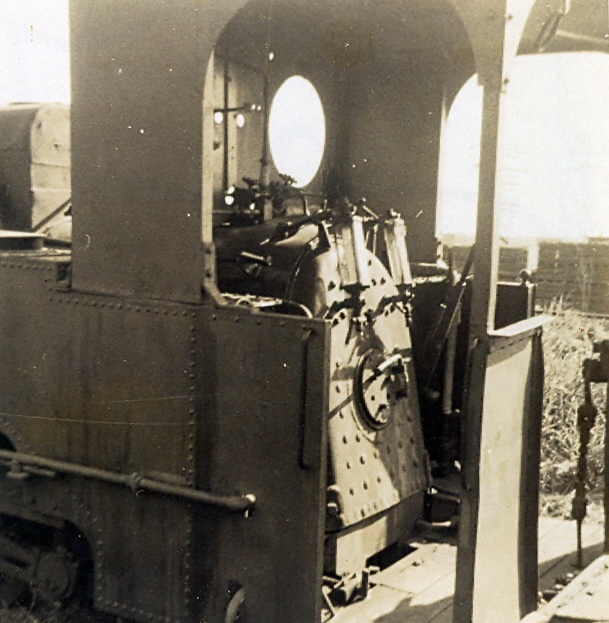 Click here to see a similar vehicle on the Bredgar & Wormshill Light Railway in Kent, UK. 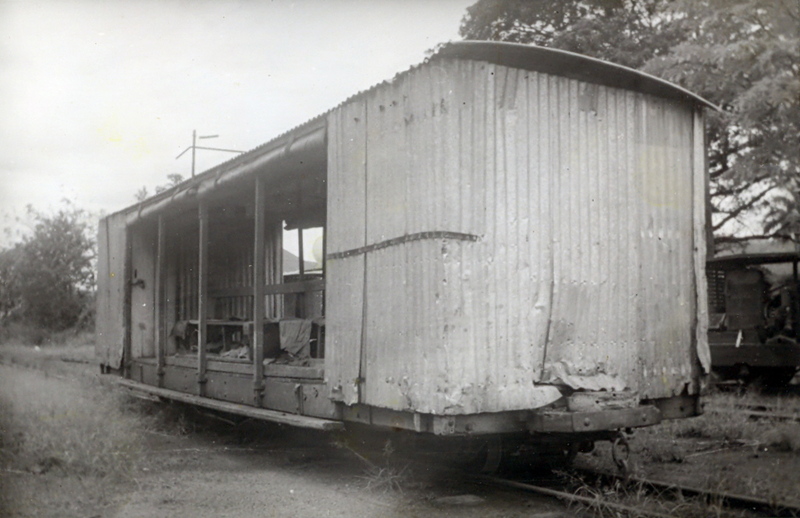 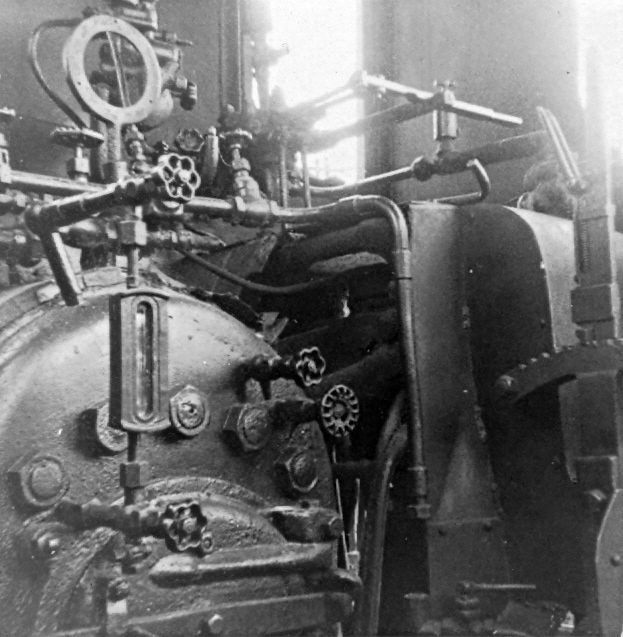 Click on Next below to access the images Mr Loveday collected recording the Shay locomotives, carriages, wagons and route of the Mapleton Tramway.